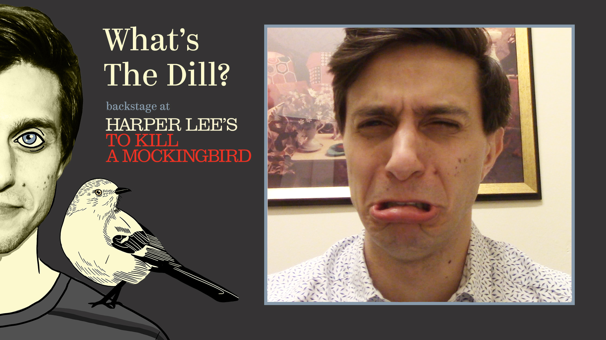 To Kill a Mockingbird's Gideon Glick chats with LaTanya Richardson Jackson and playwright Aaron Sorkin in his final vlog episode. James Graham's Ink, which chronicles the story of Rupert Murdoch and Larry Lamb's collaboration to crush the competition with The Sun, opened at Broadway's Samuel J. Friedman Theatre on April 24. 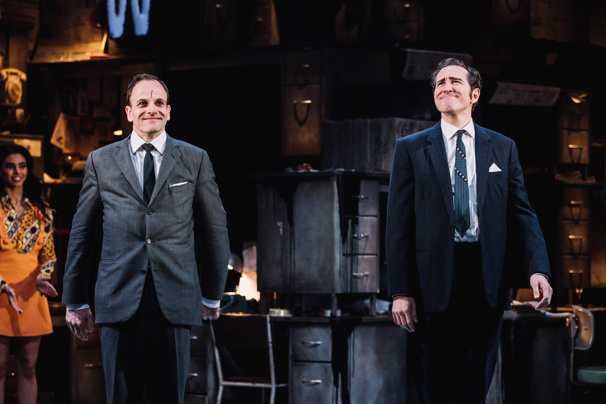 The play stars Jonny Lee Miller and Bertie Carvel as Lamb and Murdoch, respectively. Broadway.com was on the scene to capture the opening night curtain call. Take a look at the photos, and then be sure to catch this new play! Congrats to the company of Ink on their Broadway opening! See the play through June 23 at the Samuel J. Friedman Theatre. Rock of Ages, the smash-hit Tony-nominated musical that played a six-year run on Broadway, will head back to off-Broadway this summer at New World Stages, where it first debuted in New York. The show will play a limited 10th-anniversary engagement, set to run from June 19 through September 29, with the original creative team at the helm, including director Kristin Hanggi and choreographer Kelly Devine. 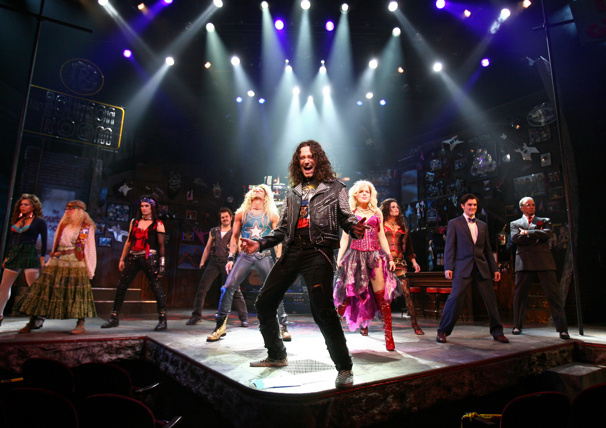 Following its original 2008 New World Stages run, Rock of Ages opened on Broadway in April 2009 and played more than 2,300 performances at the Brooks Atkinson and Helen Hayes Theatres, earning five Tony nominations including Best Musical and a nod for director Hanggi. The show also enjoyed successful national and international tours and, in 2012, was turned into a major motion picture. The musical features a book by Chris D'Arienzo and arrangements and orchestrations by Ethan Popp. Rock of Ages is set in 1987 on Hollywood's Sunset Strip where a small-town girl meets a big city rocker. As they fall in love in L.A.'s most famous club, Rock of Ages allows audiences to rock out to '80s hits from such iconic bands as Styx, Poison, Twisted Sister and Whitesnake. Nominations have been announced for the 64th Annual Drama Desk Awards, honoring the best in Broadway, off- and off-off-Broadway theater in the 2018-2019 season. Winners will be announced at an awards ceremony scheduled for June 2 at New York City's Town Hall. Drama Desk winner Michael Urie (Torch Song) will host. 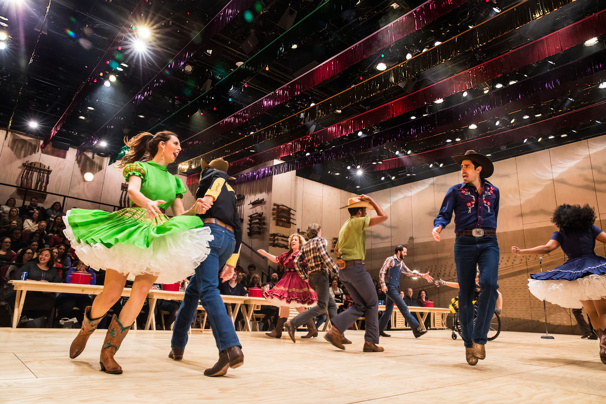 Leading the nominations is the immersive Broadway revival of Oklahoma!, with 12 nods. Just behind is the new musicals Tootsie, with 11, and Rags Parkland Sings the Songs of the Future, with nine. The Drama Desk Awards are voted on and bestowed by theater critics, journalists, editors and publishers covering theater. Hadestown, Torch Song and Choir Boy were considered by the Drama Desk Awards for their off-Broadway runs, and only new elements were considered for their Broadway transfers. This season's production of The Boys in the Band was not eligible for Drama Desk Awards because the production did not accommodate nominators due to limited ticket availability and the limited run of the show. A full list of nominations can be found below. A trio of Broadway legends will be honored with special Tony Awards for Lifetime Achievement at the 2019 Tonys ceremony, the Broadway League and the American Theatre Wing have announced. 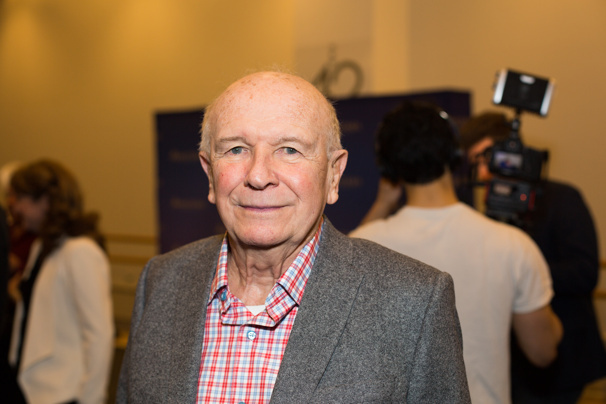 Winners include playwright Terrence McNally, actress Rosemary Harris and orchestrator Harold Wheeler. Most recently represented on Broadway by Anastasia, McNally is a four-time Tony winner for his plays Love! Valour! Compassion! and Master Class and his librettos of the musicals Ragtime and Kiss of the Spider Woman. His play Frankie and Johnny in the Clair de Lune will receive a new Broadway revival next month. Harris, who is currently appearing as Mrs. Higgins in Broadway's My Fair Lady, earned a Tony for her turn in The Lion in Winter. Her credits also include Tony-nominated performances in The Royal Family, Waiting in the Wings, Hay Fever, Heartbreak House and Old Times. 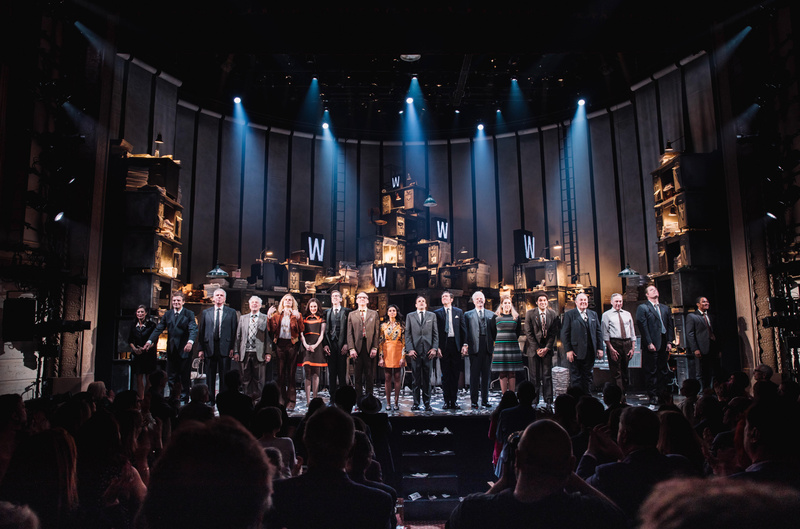 Wheeler has earned Tony nominations for his orchestrations of The Life, Little Me, Swing!, The Full Monty, Hairspray and Dirty Rotten Scoundrels. He is currently represented on Broadway as orchestrator of the new musical Ain't Too Proud. A year's worth of mischief has been managed! The hit two-part epic Harry Potter and the Cursed Child marked its first year on Broadway on April 22. 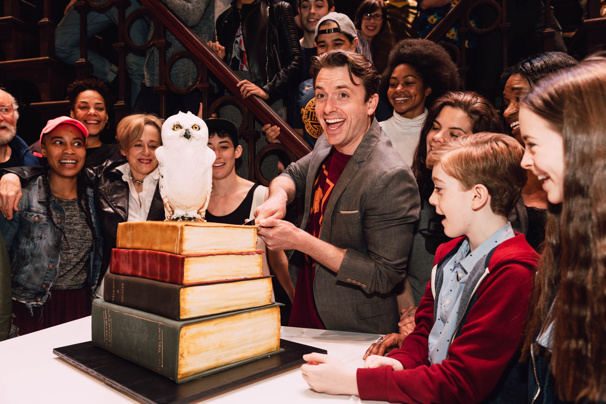 Stars James Snyder, Jenny Jules, Matt Mueller and the rest of the magical company gathered together at the Lyric Theatre to celebrate the occasion with a gorgeous cake. Take a look at the photos from the celebration, and be sure to see Harry Potter and the Cursed Child for yourself! 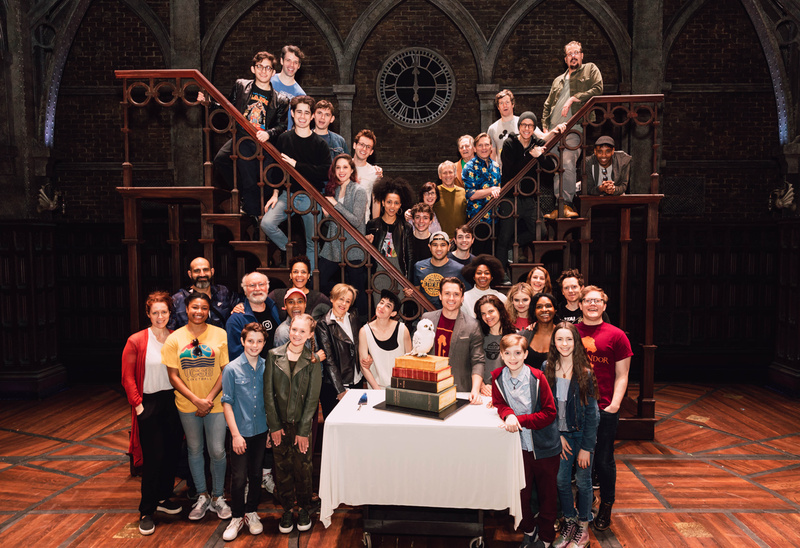 Congrats to the cast and company of Harry Potter and the Cursed Child on the show's one-year anniversary! Experience the magic for yourself at the Lyric Theatre. Sincerely, Oscar, a new musical celebrating Tony-winning lyricist Oscar Hammerstein II, has scheduled a closing date of May 12 at Theatre Row's Acorn Theatre. The new work began previews on March 27 and officially opened on April 4. 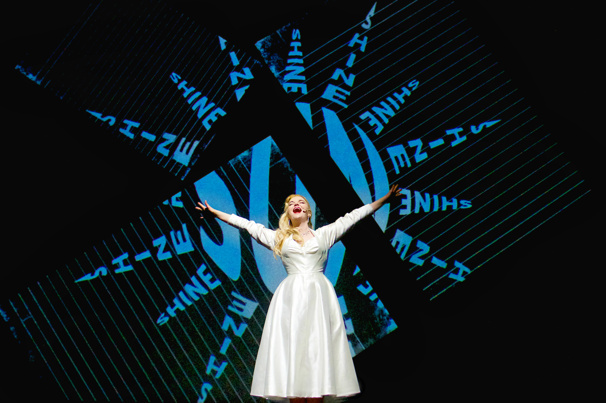 At the time of closing, the show will have played nine previews and 52 regular performances. Featuring a book written by Doreen Taylor, who also stars, and direction by Dugg McDonough, Sincerely, Oscar highlights Hammerstein's journey to becoming Broadway's greatest lyricist. The musical explores Hammerstein's life in his words while showcasing more than 30 of his greatest songs from shows like The Sound of Music, Show Boat, Oklahoma!, Carousel, South Pacific, Allegro and more. The musical incorporates personal correspondence, unpublished lyrics, interviews and rare memoirs to give insight into Hammerstein's legacy. Taylor is joined onstage by fellow performer Azudi Onyejekwe. The show features scenic design by Jason Simms, lighting design by David Pedemonti, costume design by Dawna Oak, sound design by Robert Balan and projection design by Brittany Merenda. Lou Lanza is the musical director and arranger, with string arrangements by Joshua Godoy.